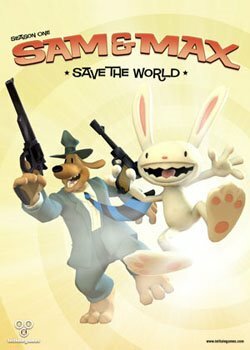 Sam & Max next week on XBLA! Well Telltale is really going at it this month! First they introduced the five-part Monkey Island season, and now they have announced their re-envisioning of Sam & Max for Xbox Live Arcade! And such a good deal too; 1600 Microsoft points for the entire Season 1 collection, consisting of 6 episodes. That’s around $24.75 (if you have 100 or so points already) versus $90 on Wii or $30 on PC. A great deal for those into adventure gaming and who haven’t already experienced it on the PC or Wii.